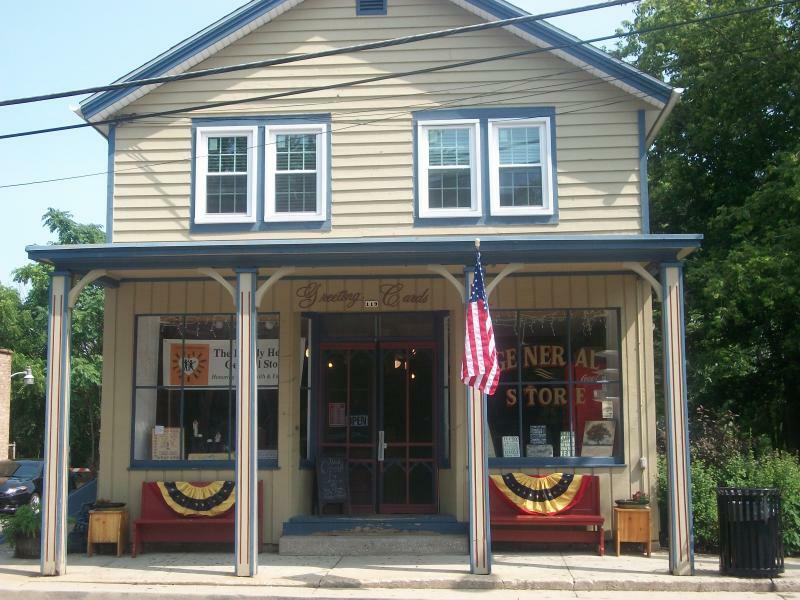 Forming Faithful Families - The Family Hearth General Store Praise for The Family Hearth General Store™﻿:﻿﻿"Very charming store, found a great french sign, love the old fashion small coke bottles and my daughter was happy about the old fashion candy . We wish you much success - The Doyle's Natalie kmiec Doyle La Vie Vintage”﻿﻿ What a lovely little place!! Not open until Friday but they let us in anyway and were so friendly and kind. Perfect stop after tea across the street :)﻿- Karen Newby “It's a wonderful store!!! There are great decorative pieces for your home, candy, games, and more! The owner was very welcoming too :-)”﻿ Warm and friendly. Can't wait to come back! Beautiful store." Warm and friendly. Can't wait to come back! Beautiful store." The Family Hearth General Store﻿™﻿ is situated in an authentic 1890s building on the main street of Frankfort, Illinois established in 1859. The charming atmosphere of the town pervades the general store where you will feel you just stepped back in time but where you will find treasures to delight you today. From quilts to primitive candles, antique samplers to willow tree figurines, gourmet coffee to vintage jewelry, cards and wall art, The Family Hearth General Store offers inspirational one-of-a-kind gifts and decor honoring home, faith and family life.